This is the first installment of a three piece series highlighting tips for Event Coordinators. Team recruitment is a key piece for building a successful Down syndrome walk event. Without motivated Team Captains, you won’t have drivers to lead your fundraising efforts. As you establish your walk events, and grow upon previous years’ successes, you will want to find ways to both recruit new Team Captains as well as entice existing captains to raise funds again. 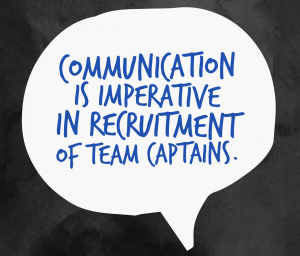 Communication is imperative in recruitment of team captains. Leading a team may seem intimidating, especially to new parents, but when information is properly communicated, the task becomes less daunting. Information is best shared by reaching out to those who have participated in the past, as well as any new members who have joined your organization since your last walk event. A “Save the Date” announcement via email, and an invitation to a Team Captain kick off meeting, are both great ways to build excitement leading up to your event. To reach new families, include a flyer about your event in new parent packets and in any materials your organization shares with early intervention providers. By letting your community know the event will be held again, you will allow potential team captains the time to consider signing up to raise money for your organization. Once your walk team fundraising site is launched, it’s important to continue your walk email communications. Notify your database online registration is open and use email for regular updates on your how many teams have registered, your goals for this year, and your progress to those designated goals. It also doesn’t hurt to recognize recently registered teams in these communications or spotlight the largest team to encourage a little competition among team captains. The Stride fundraising solution also offers an entire tab of information dedicated exclusively to Team Captains. With several help guides and content pages designed specifically to your event, captains can find information as they need it. Having this level of support for your walk VIPs is crucial in recruiting teams, as it illustrates they will not be alone in their endeavors to raise money for the organization. Social media is another great channel of communication for team recruitment. Many parents turn to Facebook, for example, to network and seek support from others in the Down syndrome community. By broadcasting information about your walk event where your membership is already spending their time online, your message will have a greater reach. While you are sharing the importance of becoming a team captain, be certain to also share how your organization will be using the funds that are raised. It is easier to motivate someone to become a team captain when they know exactly how their efforts will make a difference. Many people may register their team and attend the event. 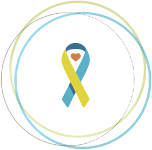 But, if they know that any funds they raise will help a program that will directly impact their loved one with Down syndrome, they will be encouraged to reach out to others for donations to their team. 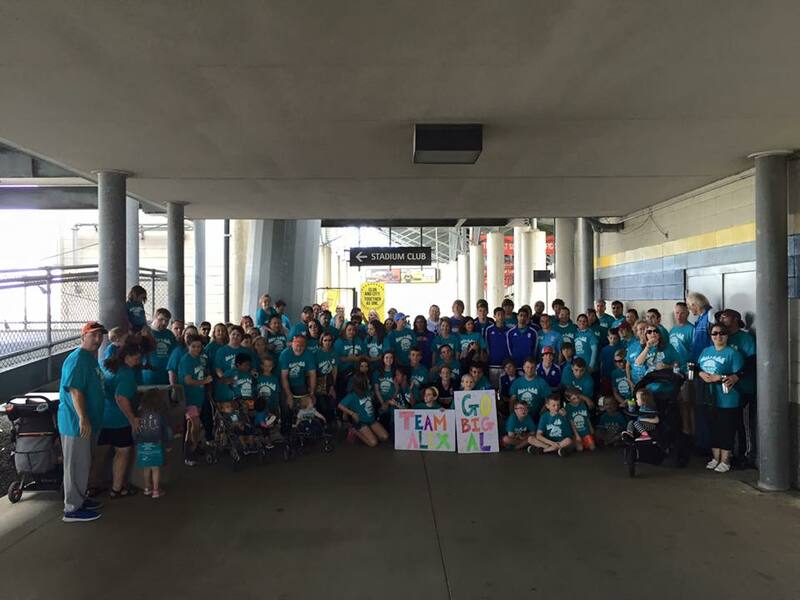 My walk team, Team Alex, had 70+ members in 2015. Event Coordinators – we’d love to hear from you! What are your best tips for recruiting Team Captains? Share them with at stories@ds-connex.org.